As at today, HYPPADEC, just like such other important matters mired in political exigency, has become a victim of our askance form of allocation of power and resources. It is a travesty of democratic norms that those who seek public office are shielded from being confronted by the public on their visions or campaign promises. As we go into another round of elections in less than two weeks, this should ordinarily be an auspicious opportunity for the electorate to pay back their representatives by demanding for answers to the challenges of their communities in relation to campaign promises. For the North-Central states ravaged by the devastating effects of hydro-power generation and creation of dams, the Hydroelectric Power Producing Areas Development (HYPPADEC) Act was supposed to serve as a cushioning elixir for communities around these areas, thus the agitation for the creation of a Commission in form of the Niger Delta Development Commission (NDDC), to manage those after-effect challenges. This was not to be, sadly. Last month, in its December 17 edition, Daily Trust reported that the Senate was set to create new development commissions. According to the story, the National Assembly planned to create an additional 25 federal agencies to the existing 541 ministries, departments and agencies (MDAs) of government, with the duplication of roles anyway, while some have remained comatose and their employees collect salaries for no work done. Already the bill for the establishment of the South East Development Commission, meant to address the region’s ecological challenges, has passed for third reading. In the rat race that followed, the bill for the establishment of the North West Development Commission was also presented immediately. Meanwhile, the North East Development Commission, whose mandate was to reconstruct, resettle and rehabilitate the zone after the devastation caused by Boko Haram insurgency, is yet to take off, as direly needed as it is. As for HYPPADEC, it remains in the pipeline, almost nine years after ex-President Goodluck Jonathan assented to the then HYPPADEC bill, and it became law. But, indeed, HYPPADEC died on arrival as all subsequent actions and inactions point to that. The seed money amounting to N352.57 million appropriated in 2011 for its take-off was never released by the executive. Since then, less and less provision of N247.50 million in 2014 and a meagre N10 million in 2015 were appropriated; still it was not cash-backed. Till date, HYPPADEC exists on paper alone – no office, board, management or staff. Tragically, governors and legislators from the North-Central States of Kogi, Kwara, Niger, Benue, Plateau, Nassarawa, the Federal Capital Territory, and other states where hydroelectric power is generated, do not consider it important enough to agitate for it, ask questions or seek to resuscitate it on the floor of the National Assembly; not even in over three years that the Senate President Bukola Saraki, who hails from one of the affected states, has held sway. 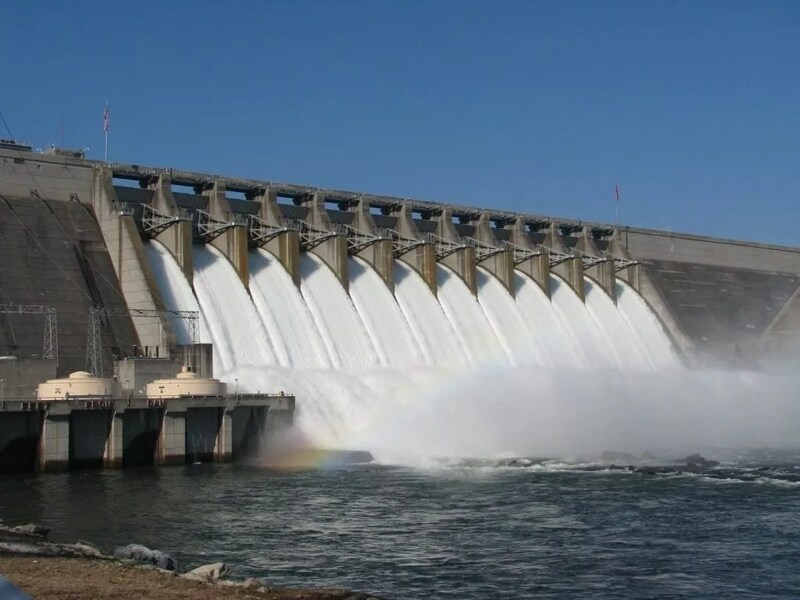 If HYPPADEC had taken off, part of its responsibility would have been to manage the ecological menace due to the operation of dams in power producing areas. In the 1970s when the country saw the need to harness hydro resources for electricity generation and general human need, it was these areas located in Jebba, Shiroro and Kainji, it turned to. Generally, Nigeria has the potential of 277 small sites capable of generating electric power of about 734.2MW out of which only 30MW has been harnessed, according to Ismaila Haliru Zarma, a scientific officer with the Energy Commission of Nigeria. Currently, the country is using mainly hydro and thermal resources; however, diversifying energy sources in order to promote renewable energy development, as we have been trying to do with gas, solar and wind, has not been very successful, yet most of the peaceful communities that offered their waters to the federal government have never been compensated with meaningful development of the areas. Meanwhile, natural resources have become sources of sorrow for Africa, or what someone calls the tragedy of endowment. Look at the Niger Delta’s miserable environment, despite the millions of dollars generated by multinational oil companies and the money pumped into the region through the NDDC and 13 per cent accrual from the derivation principle. All these combined still pale into insignificance when compared with the negative impact of oil exploration and the criminal silence of the sub-national and national leaders. Former President Jonathan never released money for HYPPADEC despite making it a reality; he went scott-free. President Buhari too will soon get away with the massive ecological and development issue in a zone that voted massively for him in the last election. And to the best of my knowledge, in all the North-Central states and North-Eastern states the campaign trail of the president has visited, neither did anyone ask about HYPPADEC or the North East commission nor did the president care to talk about them. Again, lawmakers from this regions do not consider it worrisome enough to raise a voice to make HYPPADEC a reality and functional. On the other hand, so far, campaigns have been more about emotions, sentiments, singing and dancing than substance or challenges of development facing us as a nation. As at today, HYPPADEC, just like such other important matters mired in political exigency, has become a victim of our askance form of allocation of power and resources. It is a travesty of democratic norms that those who seek public office are shielded from being confronted by the public on their visions or campaign promises. As for the National Assembly’s desire to create more commissions, need I remind them about the Orosanye report now gathering dust on shelves, like previous ones before it. In 2011, President Jonathan set up the Presidential Committee on the Rationalisation and Restructuring of Federal Government Parastatals, Commissions and Agencies to look into ballooning expenditures of government. The committee in its assignments sought to reduce the number of MDAs from 263 to 161, scrap 38 agencies, merge 52 and convert 14 to departments. As timely as the idea was, Jonathan never had the political will to implement it as he was hounded and criticised from all corners. President Buhari never deemed it necessary to ask for the report; in the end, we only pay lip service to the cost of running government without concrete steps to averting its implication now or later. Misplacement of priority, politicisation of issues, intrigues and corruption have made it impossible for the country to make meaningful progress. Think of the fate of the Petroleum Industry Governance Bill, which the Senate, this time passed, albeit in piecemeal but which the president withheld assent to. Think of so many other such bills that were mere exercises in futility. Not even the North East Development Commission assented to by the president has taken off despite its exigency and necessity. Meanwhile, non-constitutional committees like Presidential Initiative on the North East (PINE) and others here and there serving as avenues for slush money are funded. What about Abike Dabiri’s Diaspora Commission recently assented to by Mr. President? As good as it is to engage Diaspora Nigeria, it should not take precedence over those mentioned above. Hers is clearly a public relations exercise before our international friends and our brothers and sisters living abroad. With the enormity of challenges faced by the country that has seen several laudable projects and policy initiatives suffer due to misplacement of priority by our leaders, we now need more than political correctness to win the war against underdevelopment in Nigeria.